Former state treasurer Bill Lockyer on panel to advise LAUSD. A blue-ribbon panel of leading figures in education, politics and finance has been working behind the scenes to help LA Unified identify financial challenges and solutions as the district faces budget deficits in the near future. The panel includes people who have worked with the district in the past, and many have won awards or honors for their involvement in education. One member is now working for the search firm hired to find the district’s next superintendent. Known as the Independent Financial Review Panel, the group was formed in March by Superintendent Ramon Cortines and is being supported by $250,000, approved by the board. The panel’s findings and recommendations are due before the end of the current academic year. Cortines has expressed his desire to step down by the end of the calendar year. Despite the constant refrain by board members to bring transparency and accountability to the business of the district, the work of the panel is being conducted in private. The members of the panel were not identified publicly (see below), and meetings are not open to the public. The panel was mentioned almost as an afterthought in a report earlier this week before the Budget, Facilities and Audit Committee by Chief Financial Office Megan Reilly, whose office is overseeing the panel’s work. Reilly has projected a budget shortfall of $333 million in 2017-18, presumably one of the reason the group was impaneled. During the public forum section of the committee meeting, led by board member Mónica Ratliff, a former school board member, David Tokofsky, pointed to the secrecy surrounding the panel and its work. “This is the first time in a public meeting that this financial review panel has ever been mentioned,” he said. Late today, the district provided a package of information, reflecting the material the panel has been examining over its first four meetings, with two to go. The subjects reviewed include a history of the district finances, the evolution and mechanics of the Local Control Funding Formula, reviews of state and federal education funding, district budget schedules, personnel costs, and debt, tax and bond information. Some of the material has been reviewed at previous board meetings, but taken as a package — all 260 pages of it — it’s the kind of material any panel of this kind would need to make informed recommendations for a district with an annual budget $7 billion, excluding federal dollars. This is the first time such a high-profile panel of outside experts have been asked to look at LAUSD’s budget and other financial material. Maria Anguiano, an architect of the University of California-wide fiscal improvements plan and a former senior advisor to the Bill and Melinda Gates Foundation Post-Secondary Success Team. Delaine Eastin, the 25th California State Superintendent of Public Instruction and the first woman to be elected to that position. Michael Fine, chief administrator for Fiscal Crisis and Management Assistance Team. 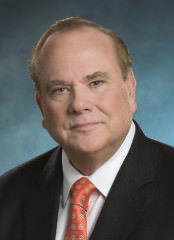 Bill Lockyer, former California Treasurer and veteran politician. Darline Robles, the former superintendent of Los Angeles County Office of Education and the Salt Lake City School District who is now part of the search firm seeking the next LAUSD superintendent. Miguel Santana, former city administrative officer for Los Angeles Antonio Villaraigosa and deal with a time of severe belt-tightening for the city. Darrell Steinberg, longtime state politician and president pro tem of the Senate who authored more than 70 bills involving education, mental health and foster care. Peter Taylor, president of ECMC Foundation, chaired the James Irvine Foundation and is on the boards of the Kaiser Family Foundation and the J. Paul Getty Trust. Kent Wong, the director of the UCLA Labor Center, and former staff attorney for the Service Employees International Union. *Adds informational about the panel’s activities and updates background of Michael Fine.